A high-end supermarket in the United Kingdom was forced to apologise for selling “racist” chocolate in the lead up to Easter after labelling a duck-shaped dark chocolate treat “ugly”. 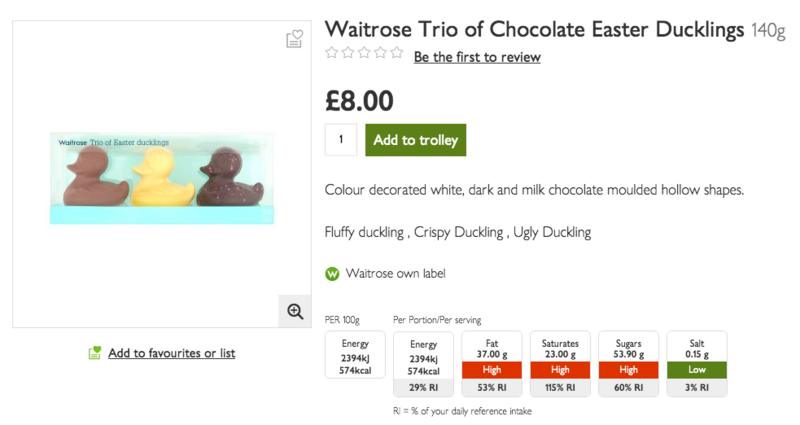 Major retail outlet Waitrose found itself in hot water this week after concerned customers claimed the store’s trio of Easter duckling chocolates – made of milk, white and dark chocolate – were offensive. One outraged shopper even took to social media to slam the supermarket for its product which included three treats named “crispy”, “fluffy” and “ugly”. According to UK newspaper The Daily Mirror, the enraged shopped wrote on Twitter: “Crispy, Fluffy and Ugly – trio of Easter ducklings at #waitrose. Ugly is the dark one on the right. It’s believed the name was in reference to the popular children’s fairy tale The Ugly Duckling by author Hans Christian Andersen, which tells the story of a little bird who was labelled ugly by others due to his dark colouring before later maturing into a beautiful swan. In a bid to ease the tension, Waitrose temporarily removed the chocolates from its shelves and redesigned the labels so as to not offend anyone else, The Mirror reports. However the product is currently still available for purchase on the store’s website. However, the move has angered many who took to social media to slam the supermarket for changing the name all because of a few complaints. What do you think of the chocolates? Do you think it was offensive or a case of PC gone mad?